Welcome to the New Secret6 HQ! 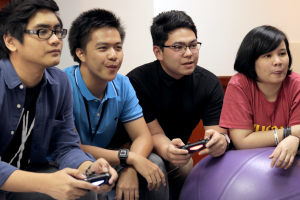 From a humble 3D art outsourcing company in 2005, Secret6 has grown into a full-blown game development company with over 130 employees. 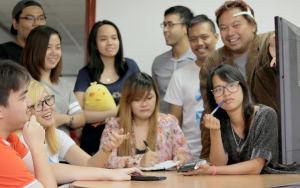 In the years since, the Manila office had been divided into two locations, but this 2017, we were finally reunited under one roof! “It is really out of necessity,” said our President, Ron Schaffner on why it was important to move to a bigger, more unified space. 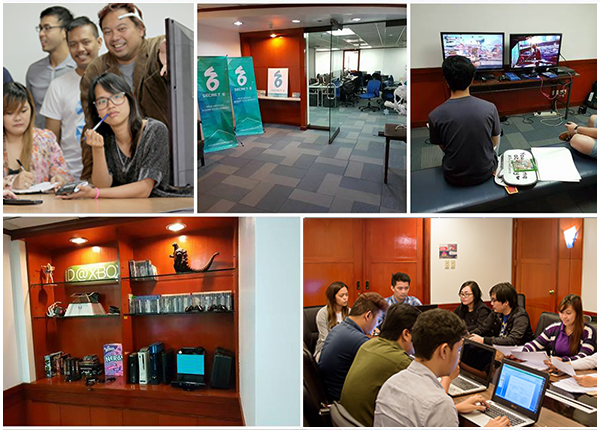 Over the past few years, the company grew so quickly, both for art outsourcing and game development. 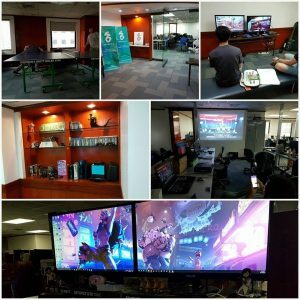 Our game development projects started to include more 3D games, including VR, but our artists were in a different location than the programming and design teams. 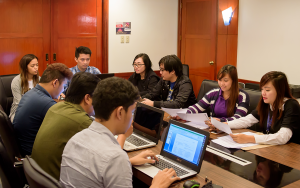 December 21 and 22, 2016 marked the respective final production days of the Taipan and Tektite East Tower offices. Save for a few persistent projects that needed to be finished that night (curse you, bugs!) it was time to say goodbye to our old spaces. 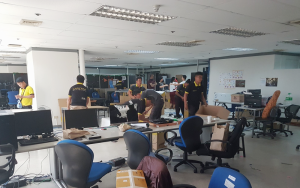 Every member of Secret6 pitched in to help prepare for the move; we all disconnected our devices and workstations, and personal items were all accounted for or removed from the office by the end of the work day. 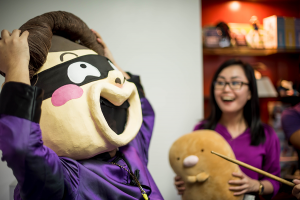 We didn’t want to lose our personal effects, after all; Secret6 employees have really interesting work stations! Did we mention the new vending machine? Nothing beats the heat of Manila and energizes young and passionate artists and developers but a nice assortment of beverages. While the new office space serves as the major change on the surface, our president has bigger hopes for the company’s future. “I hope one of the bigger changes is that there’s more collaboration.” he says. 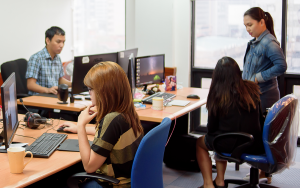 In the months that have passed since the move, we have greater collaboration between teams. We are also further exploring ways to build the new space up to make it feel more of our own, a new home. 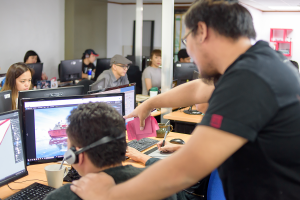 Let us continue to make great games as we start a new chapter of the studio, leveling up in the work we do, exploring and further developing our original games!